Areas containing small (“pixel-level”) sharp details. Additionally, you can turn on the simultaneous display of both types of outlines (not possible for some video cards). You can cycle through these modes using Menu–View–Toggle Focus Peaking (or by pressing the P key on the keyboard), like following: Everything off – High contrast edges – Fine details – Both filters – everything off. Unnecessary/unused modes can be turned off through Preferences – GPU Processing – Focus Peaking mode. When this filter is on the letter E in the USM EDSH group on the bottom bar takes the same color that is used for the outline (green by default). When this filter is on the letter D in the USM EDSH group on the bottom bar takes the same color that is used for the outline (red by default). The colors that are used outlines for both filters, as well as the opacity of the filter overlay are controlled through the settings in the Preferences – GPU Processing – Focus Peaking mode section. 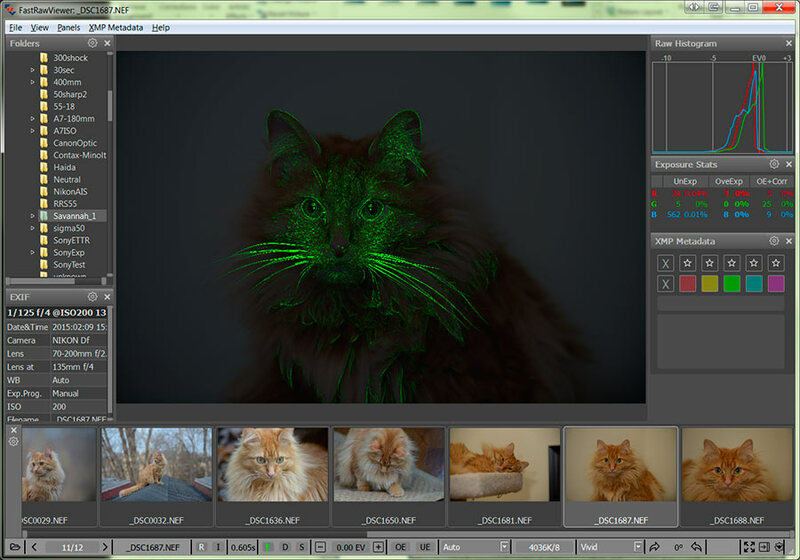 For GPU-based demosaicking the overlays indicating the areas of sharpness and sharp details have lower brightness, as this demosaicking creates less artifacts and the algorithm has less data to cling to. 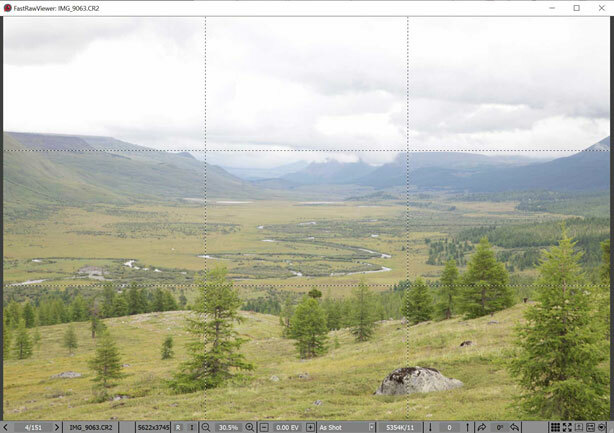 To switch the grid on, use Menu – View – Grid Overlay – and select the one or more grids. If several grids are selected, they can be cycled through Menu – View – Grid Overlay – Next Overlay Grid (the default hotkey is Alt + G). The selected grid is displayed as dashed lines, with black and white dashes interleaved, over the image. 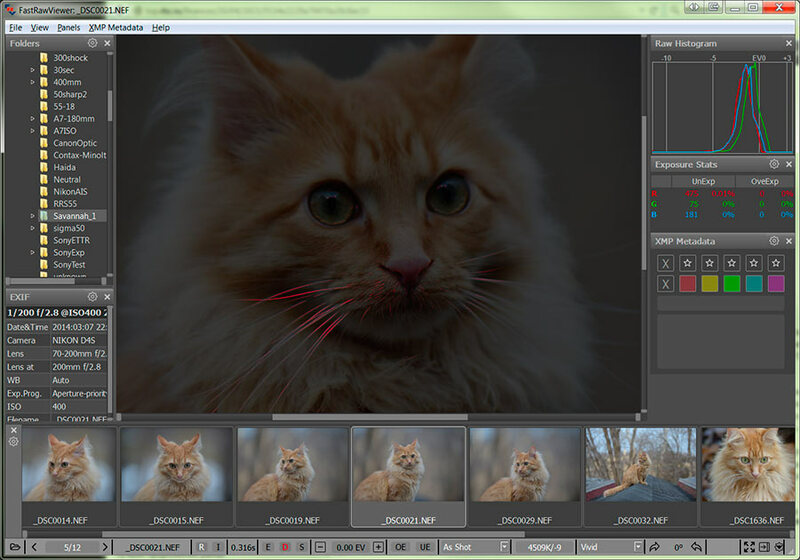 The grid settings are available in Preferences – Image Display – Sharpening/Other.